If you fancy a day out over the Easter Holiday we have listed our ‘Top Ten’ ideas within an hours drive of North Leeds. 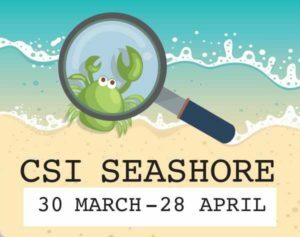 Hopefully, we will see signs of Spring during the Easter break but if the weather doesn’t play ball we have also included indoor activities and there is something for all ages. 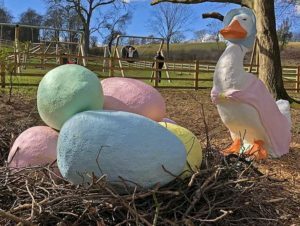 Lotherton has lots of fairy tale themed family fun planned this Easter. Fall down the rabbit hole, follow the white rabbit’s trail and get creative with kooky crafts. 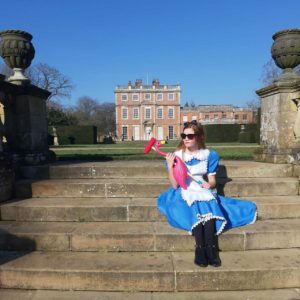 The Mad Hatter’s Tea Party will be taking place each Wednesday during April along with Flamingo Fun in the Nestbox Education Centre. There’s also plenty of feathered flamingo friends in Wildlife World if you want to take inspiration from the real thing! There will also be all the usual Stockeld fun to be had including the enchanted forest and adventure playgrounds, magical maze, inflatable play, peddle go-karts, roller skating, Buccaneer boats on the lake (additional charge), indoor jumping pillow and MORE! Stockeld Park, off the A661 Wetherby Road, LS22 4AN. Children can get their creative juices flowing and create rhymes for the Rhyming Tree, enjoy storytelling and rhymes with the Garden Detectives, make rabbit hand puppets and watch birds-of-prey demonstrations (activities vary daily check website for timings). 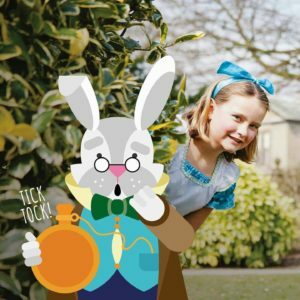 On Easter Sunday and Monday there will be the chance to meet the Queen of Hearts, Alice, The Mad Hatter and the White Rabbit! The fun continues with the Adventure Playground to explore, miniature train to ride on, pedalo boats to (well, pedal!) and fountains to splash in! Hop along to Mother Shipton’s during the Easter Holidays and follow the trail to help Little Bo Peep find her sheep! You can also meet bunnies Betty and Clover and solve puzzles and clues for a chocolatey treat. You will also see the famous Petrifying Well and Mother Shipton’s Cave. 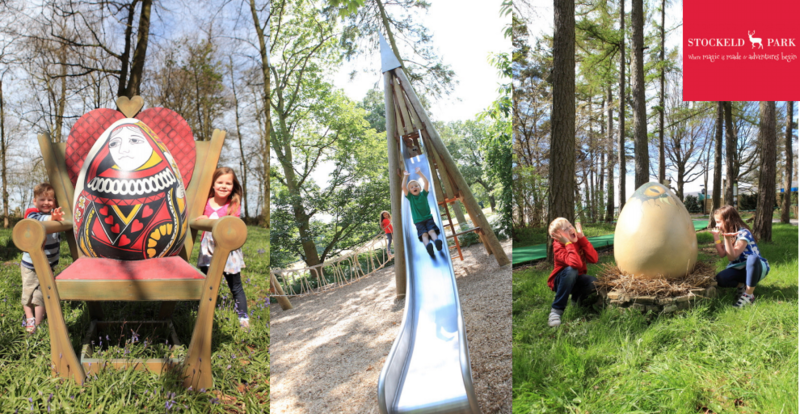 The park has several scenic picnic areas alongside the popular River Nidd and a great adventure playground. 6. The Deep, Egg-cellent Fun! The fun doesn’t stop there, take a tractor and trailer ride to the Bale Play Baaarn with 3 incredible new slides, straw bale mountain, junior tractor drivers’ area and dig’n’play. 8. Steampunk Science at Eureka! Plus over the Easter weekend meet an Easter bunny with a difference! Discovery Road, HX1 2NE Halifax. There will also be the usual farm fun such as tractor trailer rides plus sheep and ferret racing, milking demos, shire horse talks and meerkat feeding sessions. If the weather isn’t great you can always shelter in the amazing soft play centre. The Easter Bunny will be in situ from the 19th – 22nd April 2019. Admission is £10 per vehicle, payable on arrival at the car park kiosk (Riverside car park), where trail sheets will be distributed. 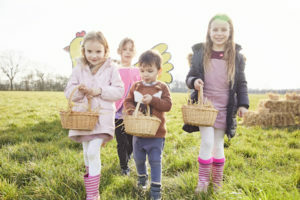 For lots more ideas for activities and events over the Easter Holidays see our full What’s on Guide here or visit our Days Out page. 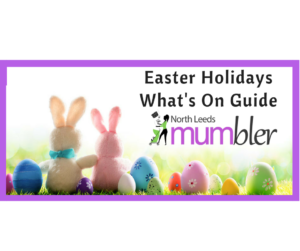 Why don’t you join our North Leeds Mumbler chat group where you can share reviews of days out/activities and get ideas from others. We hope you have a great Easter Holiday. *Details correct at time of publishing 22nd March 2019.